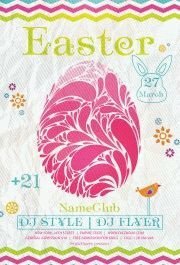 This colorful and cheerful design will be a great advertisement for your Easter celebration! Ester is a family holiday, which can be spent in a relaxing and joyful ambiance. A lot of colorful eggs the background with the warm spring nature will convey the relaxing family celebration spirit. Even fonts we have used here will show the tenderness of the event. 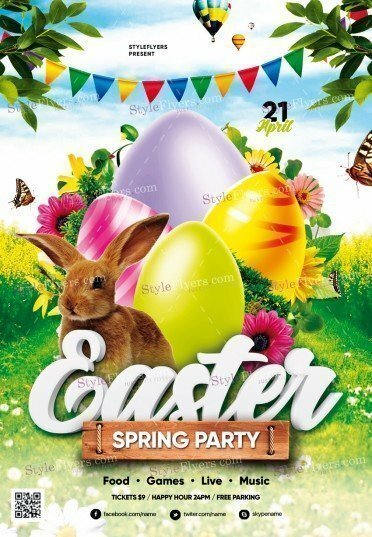 Purchase this premium Easter PSD Flyer Template and your family celebration will become the most popular event of this spring season!